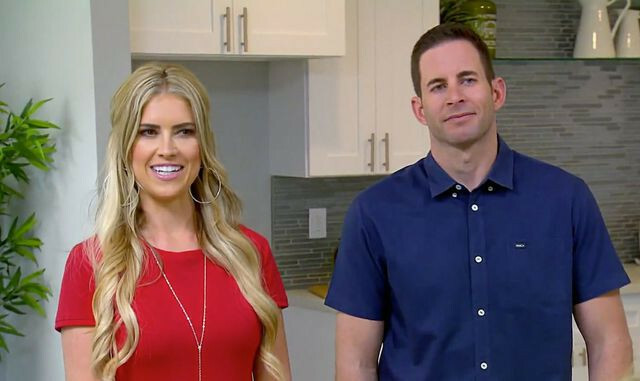 “Flip or Flop” has just aired its Season 7 finale—and if you’re incredulous that the recently divorced Tarek and Christina El Moussa made it through without strangling each other, you’re in good company! Yet their final flip of the season proves to be one of their most challenging … and tests their abilities to get along more than ever. In the episode titled “Infested Flip,” the El Moussas have chosen a 1,200-square-foot house in Santa Ana, CA, that turns out to need a lot of work before it’s market ready. Upon closer inspection of the house, contractor Jeff Lawrence tells them the house has the “trifecta” of troubles: plumbing, electrical, and subfloor. As Tarek and Christina struggle to make a profit on the home that is literally rotting beneath their feet, they deliver some fascinating tips that could benefit home buyers, sellers, and renovators alike. Here’s what we learned. And does he ever! The list price is $450,000, but the owners eagerly accept his opening offer of $400,000. Because the home sellers didn’t bother to negotiate, Tarek suspects that he should have made an even lower offer. But he can’t complain; it was almost a 20% reduction. Lawrence tells them it’s going to cost $4,000 to remove the kitchen wall for a more open floor plan. That’s a lot, but Tarek and Christina believe it’s worth every penny. “An open kitchen will add a lot of value,” Tarek says. 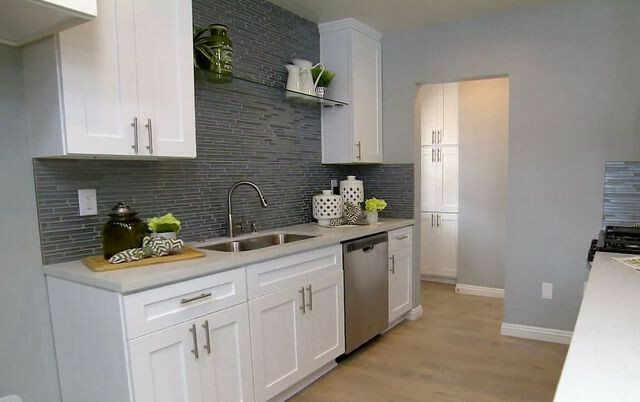 Because the house is small, Christina wants to go big on design, so she suggests white cabinets and black countertops. Tarek tactfully steers her away from that idea, telling her he thinks black might be a little too bold and overpowering. Plus, black shows water marks, and is hard to keep clean. Christina concedes, acknowledging that white countertops will make the kitchen look more open and bright. They’ve selected some fun, blue-gray tile for the backsplash. Christina observes that it will add visual interest—and the appearance of height—if they extend the tile all the way up the wall to the ceiling, and hang clear glass shelves and cabinets over it. She’s absolutely right on this one. It appears to expand the kitchen, and it’s much more striking. The white counters and the ceiling-high backsplash make this kitchen look bigger. Every wonder why so many sliding closet doors are covered with mirrors? It’s a decor tactic Tarek and Christina still use today. Not only do they make the room feel bigger, but they reflect light. And one more thing: You get to see what you look like from head to toe once you’re dressed. Tarek says he can design a bathroom just as well as Christina can, so they decide to compete—in this “bathroom war,” each one will design one of the two baths in the house. They agree to use the same plain white cabinets in both rooms, however, because they want to go tile crazy on the floor, and they know that the small rooms would be too busy if they go with colorful cabinets and colorful floors. Christina picks a bold geometric pattern, and Tarek picks one that is a bit more subtle. Who wins? According to the people who come to the open house, Tarek’s bathroom is better! As if this weren’t shocking enough, his winning move didn’t boil down to tile choice, but built-in storage. Never underestimate the value of how much space you’ve got to stash some extra T.P. Tarek and Christina don’t agree on much. The outside of this house is just as big a mess as the inside. The front porch is broken, and the stucco is literally peeling off the walls. Lawrence tells them they can’t patch it, since it will just fall off the walls. They’re going to have to spend another $6,000 on the exterior, to sandblast the old stucco off and apply new stucco everywhere. Is this season finale house a flip or a flop? When all is said and done, the project cost a lot more than Tarek expected. They end up spending $95,300 to get the house in order, which is far above the $60,000 that Lawrence originally estimated. With staging and closing costs, they will have to sell the house at $520,000 just to break even! With comps around $550,000, Tarek decides to go high and list it at $589,900. Christina thinks that it’s overpriced, but this is the one time she hopes to be proven wrong. They end up accepting an offer of $580,000, which gives them a $60,000 profit—and means they can wrap up Season 7 on a high note. And believe it or not, this couple has even signed on for Season 8, set to air in the spring of 2019! So, it looks like Tarek and Christina aren’t done with each other quite yet. Christina and Tarek are all smiles over a successful flip.